Friday Flash Fiction: "Guys and Dolls"
SnoutCast #26: "Why YOU Should Run a Game"
01:58 - as Jeff used to say: "Run more Games!" 05:01 - Puzzalot blog post: "What's happening this year ?" 14:42 - yay for Shinteki! 16:14 - investigating the claim that "no more [west coast] hunts this year...would be the first time there hasn't been a BANG, a Game, and a MSPH in the same year since the BANGs inception." 21:55 - Puzzle Hunt Forum poll: "Why aren't you running a Game?" 24:31 - "There's important context here!" 25:59 - DeeAnn explains how to get around "Not enough time"
28:18 - ...and how to deal with "Don't have a consistent team"
37:12 - You should run a Game because it's FUN. 41:19 - many thanks to Scott for Puzzalot and the Puzzle Hunt Forum! 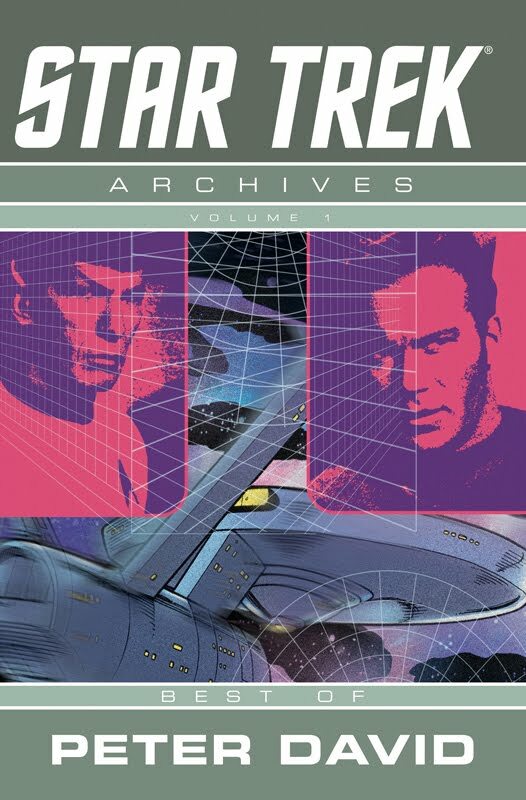 What do you get when you mash up Ted Chiang's "Story of Your Life," my unpublished short "Fish Story," and "Space Seed" (as seen at Trek in the Park)? SnoutCast #25: "Puzzled Pint #1 Debrief"
In which we celebrate the success of the inaugural Puzzled Pint event in Portland, Oregon, and foreshadow the next event on August 10th! 01:41 - what is Puzzled Pint? 09:31 - "an interesting experiment in growing a puzzle hunt community"
15:13 - DeeAnn's favorite quote: "Weren't these supposed to be puzzles you can solve when you're drunk?" 21:36 - yay for Puzzled Pint organizers Vic, Ana, and Matt! Why Everyone Should "Write The Other"
Being a minority writer myself, I feel some of the same pain she describes. 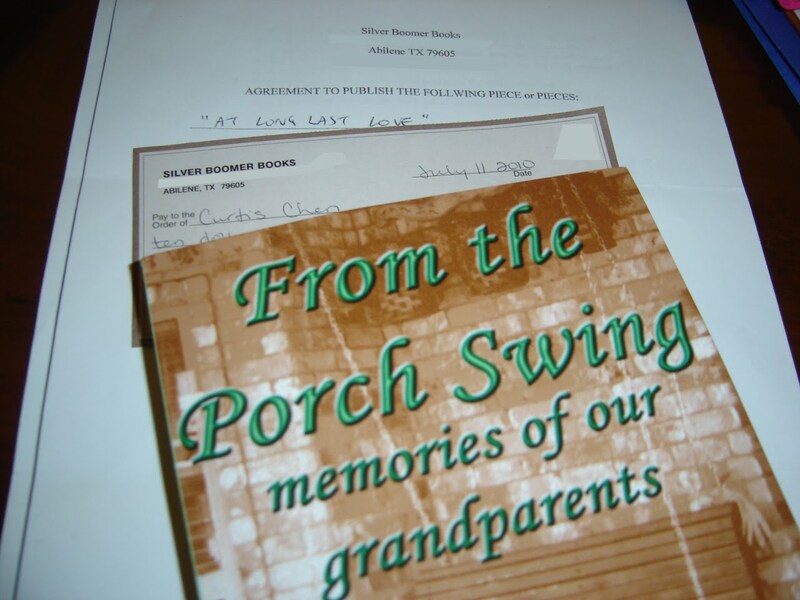 In many ways, I'm always writing the other, because I rarely draw upon my own life experiences for my fiction--like Laura Anne Gilman, I believe that "Write what you know" means learn more, not write less. I want to use my imagination. I don't just want to be a reporter (though those skills are very useful, craft-wise); I want to create. Friday Flash Fiction: "I Can Buy Pickles"
And yes, it took a tremendous effort to resist titling this one "No Guts, No Glory." But I was strong. This is one case where I was attracted to a title because of its creators--primarily the writer, Brian Michael Bendis--but became less enthused after experiencing the actual work. 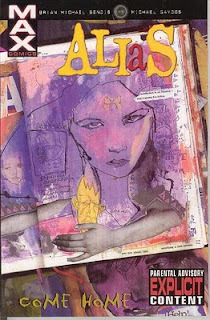 Alias is decent, but this volume in particular seemed rather self-indulgent and more about Big Important Issues than actual story. I don't deny that the Issues addressed are Big and Important, but the presentation here just didn't work for me. YMMV. One day, I hope to be prolific and successful enough as a writer that a small thing like this will merit no special celebration. But for now, it's still a novelty. So there you go. SnoutCast #24: "From Amazing BANG to Zorg Redux"
So, clearly, we need to record these podcasts earlier in the day. 03:15 - time sensitive plug: Puzzled Pint (July 13th)! 07:56 - are certain environments more conducive to puzzle hunt creation? 13:51 - what factors are most likely to influence your decision to play in an event? 16:30 - the common thread: "team-based puzzle solving to achieve a goal"
18:46 - terminology trouble: "hunt," "Game," etc.? 23:10 - we debate Rich's definition of "mini-Game"
23:56 - speaking of which: Shinteki SF Scramble (July 17th)! 25:51 - ascension of the term "puzzle hunt"
26:49 - Actually, National Treasure: Curse of the Golden Monkey-Swan might have been a better movie. 30:42 - by the way: Puzzled Pint (July 13th)! You're probably seeing this post a few days late, because my ISP has been down since Thursday, due to "fiber disruption" (I've been trying to get more details). I am not happy about this, but contrary to popular belief, my life does not depend on the Internet. In fact, you could say that... LIFE GOES ON. This was an "impulse buy" at the library, found while browsing the comic books (which always appear to be shelved in the "teen" section, unless they're black-and-white indie titles--but that's another topic). I think I actually own most of the original issues collected here, but this was much more convenient than digging through my parents' garage. 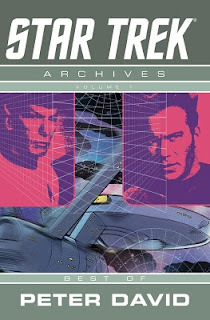 The first story is the best; it's commonly known within Trek fandom as "Scotty's Story," and it is an unabashed tearjerker. Some say that Trek is best when it's not being Trek--i.e., when it's not telling a straight science fiction story, but simply using the setting as a backdrop and mining the well-established characters and relationships for drama--and this is a perfect example. The other two stories in this collection are okay, but not great. The "Worthy" three-parter, co-written by Bill Mumy, strains credibility and falls pretty flat if you don't pick up on all the Lost in Space references. "Once a Hero" does a decent job of dramatizing the plight of the redshirt, but the TNG episode "Lower Decks" did it much better. SnoutCast #23: "Live from San Francisco"
Our special guest this week: Larry Hosken, purveyor of the San Francisco-based 2-Tone Game! 01:45 - how does Larry feel about food and cooking? 04:58 - whence the 2-Tone Game? 06:27 - "so you made a puzzle hunt because you wanted to play with a tracking system?" 07:29 - hooray for playtesters! 11:06 - "I'm looking at the logs, and here's someone..."
13:20 - "Is your first puzzle hard?" 14:18 - "Is the game completely linear?" 15:58 - and what if you're stuck in Omaha? 17:24 - "Is there a question anywhere in our future?" 20:01 - what kind of Game does GC want the players to experience? 21:29 - and what kind of experience does GC want to have? Wow. Has it ever been a long time since I posted a blog entry. This one's a doozy, so brace yourselves. I probably wouldn't be posting now, except that I believe Jeffrey needs a little guidance on how to roast some satisfying and tasty veggies. Actually, I believe that everyone needs some roast veggies in their cooking repertoire. They are just too versatile: eat them hot, room temperature, or cold; they're a complete dish on their own and make a great supporting player in soups, salads, omelettes, pasta, rice, polenta, hash... and whole lot of other dishes. This is how I make Roasted Vegetables. salt, pepper, oil and something sour. In this case, the veggie role is played by potatoes/onions/red peppers/carrots and the oil/sour role is played by some salad dressing I wanted to use up. Cut everything up. I like relatively firm potatoes so I cut them larger than everything else. I only used one onion (they were huge) and I stole half of one red pepper to use in chili. This step is optional, but I like to see how pretty the veggies look together, so I mixed them up. Pour on the oil/sour mix. I usually use equal parts of oil and a vinegar (or lemon juice), but salad dressing works just fine, too. Mix well. The veggies need to be thoroughly coated*. The oil coating helps conduct the heat; in effect frying the food in the pan. A few puddles on the bottom of the pan is okay, but the vegetables should not be taking a bath in salad dressing. Salt & pepper the bejeezus out of the veggies, shake the pan to get a more-or-less single layer, and the veggies are all set for the oven! This is what the vegetables looked like after 20 minutes. The temperature in my oven is 425 degrees. This is what the vegetables looked like after another 20 minutes (40 minutes total), and a quick stir to expose a different side of the vegetables to the dry oven air. The temperature in my oven is 475 degrees. This is what the vegetables looked like after a final 20 minutes (60 minutes total). The temperature in my oven is 450 degrees. I test a potato and declare the dish done. Sometimes I cook my veggies until the onions are all but black--yummy--but this isn't one of those days. The vegetables are still good: moist and withered, with some tasty crusty** bits along the edges. But, trust me, they are good. * Vegetables will roast just fine with lot less oil. Just make sure that they are well-coated. I've had a lot of success with a 3/4-full gallon-sized zip top bag with a tablespoon of olive oil and two tablespoons of vinegar or lemon juice. When doing this, it's usually a good idea to grease the bottom of the pan with to help with cleanup. **Yes, the pan is crusty, too. It seems like cleanup should be intimidating, but it really isn't. Just put water in the warm pan and soak it overnight. A quick pass with the scrubber sponge and the pan'll be ready for the dishwasher. Friday Flash Fiction: "Scene from a Buddy Movie"
...but it is a necessary musical foundation for understanding this week's story.